China devalues the yuan to prop up exports. Could it backfire? China Just Devalued the Yuan. Could It Backfire? What will happen to the yuan? There’s a lot of buzz in the financial press today about China’s decision to devalue its currency. The nation’s central bank cut its daily reference rate by 1.9 percent on Tuesday—the biggest single-day drop for the yuan in more than 20 years. The People’s Bank of China called the move a “one-off depreciation” and characterized it as “necessary” to “meet the needs of the market.” Presumably, that translates at least in part to propping up Chinese exports, which slumped a far-worse-than-expected 8.3 percent in July. A weaker yuan, while not necessarily great for China’s domestic economy, could help to reverse that slide. China has long tightly controlled its currency exchange rate. In 2005, the country phased out the strict currency peg it had maintained for a decade but confined the exchange rate against the dollar to a narrow trading band. Those standards were eased slightly in 2007, but then frozen again for two years as the global financial crisis took hold. Since 2010, the country has resumed, and gradually relaxed, its managed float, with the permissible trading band widening to 2 percent in March 2014. In theory, that could bode well for China’s goal of getting the yuan officially recognized as a global reserve currency by the International Monetary Fund, by signaling its commitment to making the yuan more free-floating and accessible. Last week, the IMF said that its review of China’s currency would focus on whether the yuan meets “freely usable criterion” (defined as both “widely used” in international transactions and “widely traded” in major exchange markets). Getting the yuan added to the IMF’s basket of reserve currencies would be a big deal for China. It would symbolically secure the yuan’s spot on the international stage, as well as encourage other countries to add it to their stockpiles. On the other hand, if China is now looking to the devaluation as a favorable overture to the IMF, that would be a notable about-face in thinking. 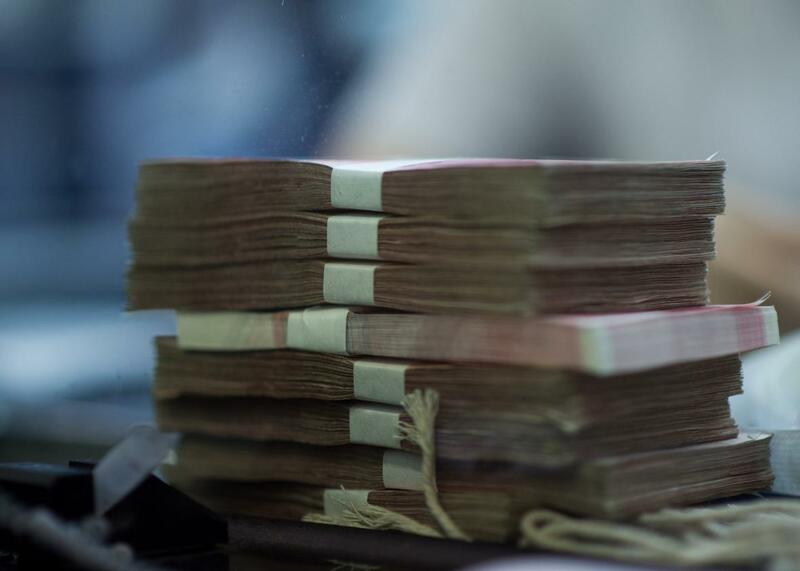 The People’s Bank of China had been attempting to hold the yuan mostly steady against the dollar since March, also supposedly in an effort to increase its chances of gaining reserve status. Setting that aside, there’s another good reason China has been trying to keep the yuan where it is: Chinese companies have an immense debt load, and devaluing the yuan would make that a whole lot more expensive. So while the People’s Bank of China wants this to be seen as a “one off,” there’s reason to fear what happens if the plan essentially backfires, the exchange rate keeps sliding, and firms suddenly can’t pay their debts. But when you decide to start dabbling in the free market after years of strict economic controls, these things can happen.